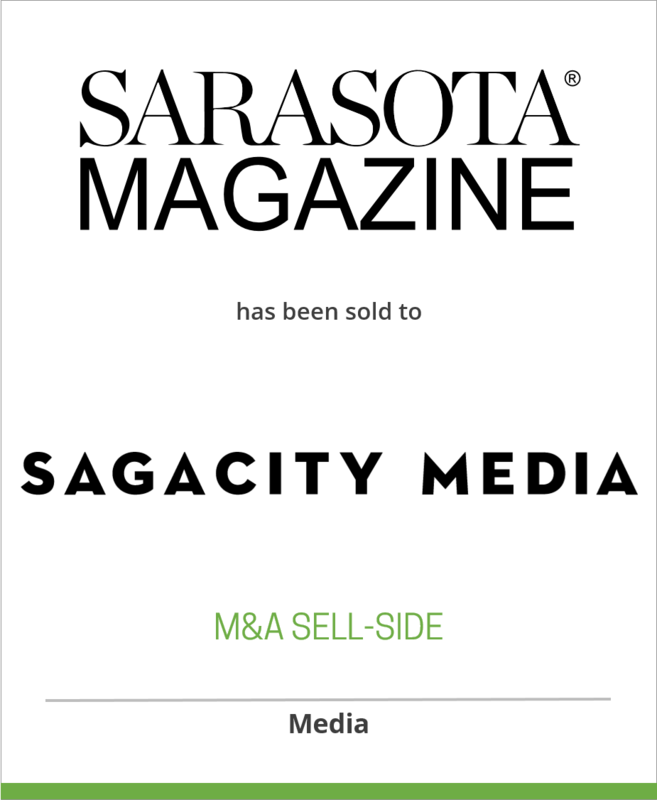 D+P client, Sarasota Magazine, a premier, award-winning magazine, has been sold to SagaCity Media, the Oregon-based publisher of leading city/regional magazines in Portland, Seattle and Houston. Included in the deal are the flagship Sarasota Magazine, Biz (941), SEE Sarasota, Sarasota Health and Venice Magazine. Sarasota Magazine founder Dan Denton sold the titles to CurtCo in 2004 and then bought them back six years later. In 2012, Denton then sold his Naples titles, including Gulfshore Life, Gulfshore Business and annual titles Gulfshore Life at Home and Forever Young, to Hadley Capital-backed Open Sky Media. Denton then purchased SEE Magazine in 2011 and Venice Magazine in mid-2014. SagaCity first launched Portland Monthly in 2003 and has since bought or launched its way across the country. The company also has titles in Seattle, Houston, Aspen, Vail and Park City. SagaCity will focus on expanding the digital platform for the Sarasota brands. Investments in responsive design, database technology, mobile and social media that the company has already made with its existing brands will be carried over to the Sarastota portfolio.